When Little Sister Alexandra finishes college, she wants to help others find a path to wellness and health. Through her adolescence, she had a role model who showed her the same, her Big Sister. Alex’s mom enrolled her in Big Brothers Big Sisters because she knew Alex was having a tough time. Her parents had divorced, and her mom knew that she was having a hard time adjusting. “My mom thought I should have someone other than just family to talk to about these things and to just spend time with,” Alex says. Her Big Sister has been a positive force in Alex’s life, always making time for her and checking in consistently. “I watched her put time, effort, and love into the things she did, which inspired me to want to do the same,” Alex says. 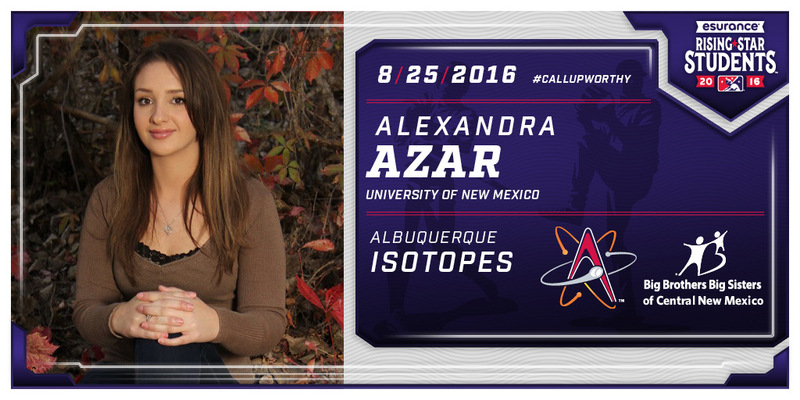 “She set a really positive example for me because she worked hard at her job and really loved doing it.” Alex studies business, nutrition, and psychology at the University of New Mexico. She wants to open her own business teaching nutrition and health. Little Brother James has had two Bigs, Big Sister Karla and Big Brother George. Each had their own big impact on James as he grew up. From George, he learned to be less withdrawn from others. When they were first matched, he struggled in social situations and was often bullied. His Big Brother helped him open up and be more comfortable around his peers. From Big Sister Karla, James learned how to handle the challenges of his home life. He also learned to take studying more seriously. “School was very different before I had Karla as my Big. Before Karla, I didn’t really focus on school,” he says, “but because of her I now focus on school because she had taught me about how important school is.” This focus has paid off: James loves math, aspires to work for NASA, and is planning to study mechanical engineering. He also hopes to give back to the community and hopes to spend his retirement years teaching high school math. 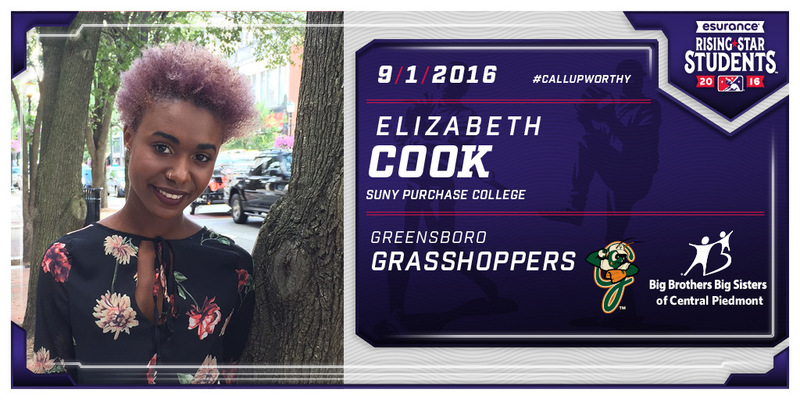 Little Sister Liz is headed to college to study acting. She is so talented, passionate, and determined, you might not guess that she was once so timid she could barely be pushed to speak in public. She says her Big Sister, Chewan, has helped her overcome that shyness and have confidence in herself. “Before I met my Big I was extremely shy and quiet. I never wanted to take risks, or even raise my hand when I had a question because it gave me a bit of anxiety to speak in front of a crowd,” Liz says. “I have now become very confident and sure of myself.” Pursuing her BFA in acting will test that confidence and allow Liz to develop as a performer and a student. Liz’s mom has no doubt she will be successful. “I think she will be fearless and that the world better watch out, because she is ready to make a future for herself,” she says. Working with a roomful of bouncy young kids, you can’t be shy. Little Sister Shelbi has grown more confident and less shy over the nine years she has been matched with her Big Sister, Carolyn. She is going to study early childhood education in college and wants to be a teacher. But when her mom first enrolled her as a Little with Big Brothers Big Sisters of Central Iowa, she was quiet, afraid to try new things. She says she didn’t communicate well. She was struggling to deal with her parents’ divorce. Now, she has built up confidence from things like the 5K Color Run, which she did with a push from her Big Sister. Her future will be different because of her Big. 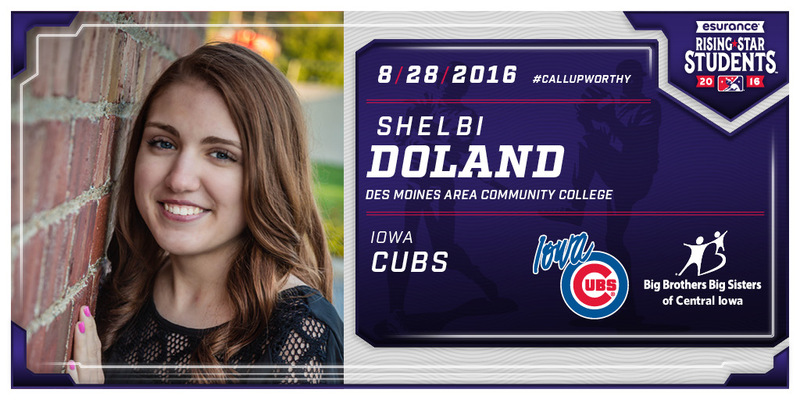 “She helped me get out of my shell and become a confident person,” Shelbi says. Little Brother Markel and Big Brother Antoine were matched for one year through Big Brothers Big Sisters of Kentuckiana’s School to Work program at LG&E (Louisville Gas & Electric.) 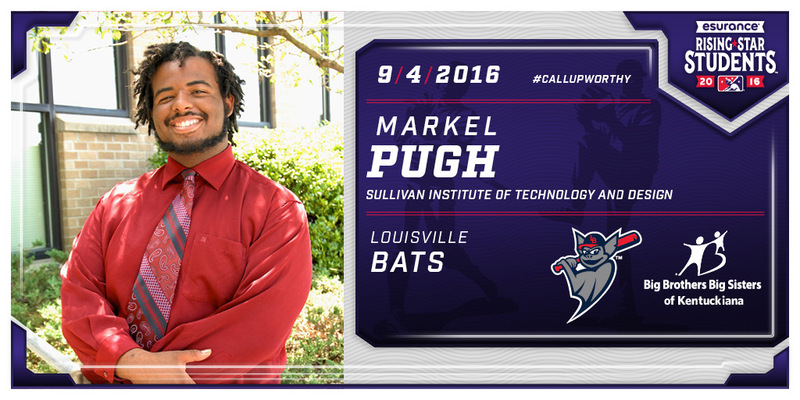 Markel is a determined go-getter who has a comedic side – he and his Big Brother often provided the comic relief at BBBS events. Big Brother Antoine has also helped Markel plan for life after high school. Markel never thought he would go to college, he says, but after spending time with Antoine, who is an engineer, he was determined to succeed academically. Without Antoine, Markel says he wouldn’t have gone to college. “I would have been stuck in my shell,” Markel says. Markel’s mom says he’ll excel in college because he’s determined, calm and collected but also knows how to have fun. Markel is studying computer forensics at Sullivan University. Someday, he would like to open his own business. Little Brother Bryce moved a lot in his childhood. Just when he would get settled at a school, it would be time to leave. Right before he entered middle school, and right before he entered high school, moves forced him to start from scratch and make a new set of friends. 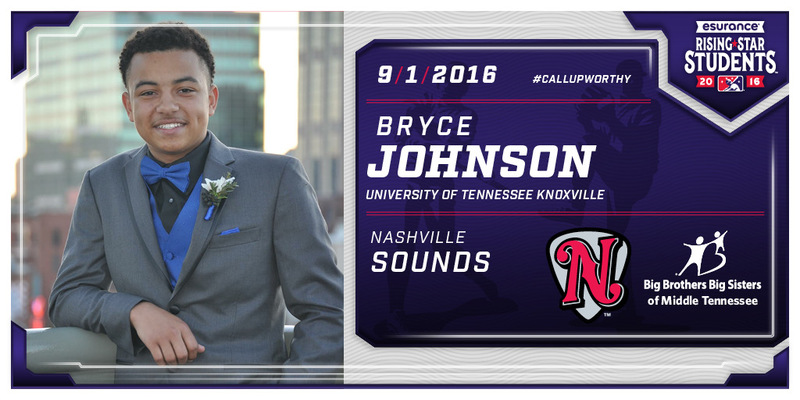 When Bryce was 10, his mom decided that it would be good for him to have some continuity, and to have another adult in his life to trust, so she enrolled him in Big Brothers Big Sisters of Middle Tennessee. Bryce was matched with a Big Couple. “Before I met my Bigs, I was not very outgoing in a social setting. I have always been known to be a very shy kid,” Bryce says. But he just starting his first year at the University of Tennessee at Knoxville, and he says his Bigs have helped him be more confident and outgoing. “Since hanging around them for eight years,” he says, “I have now moved off to college and am talking to so many people that I can’t keep track of names.” Bryce plans to study civil engineering at UT. Little Sister Kelly has succeeded despite the odds stacked against her. She was valedictorian of her high school class. Her unweighted GPA was a perfect 4.0. But her childhood was rocky, and she had a lot to overcome. When Kelly’s mom immigrated to the United States, she was pregnant with Kelly. 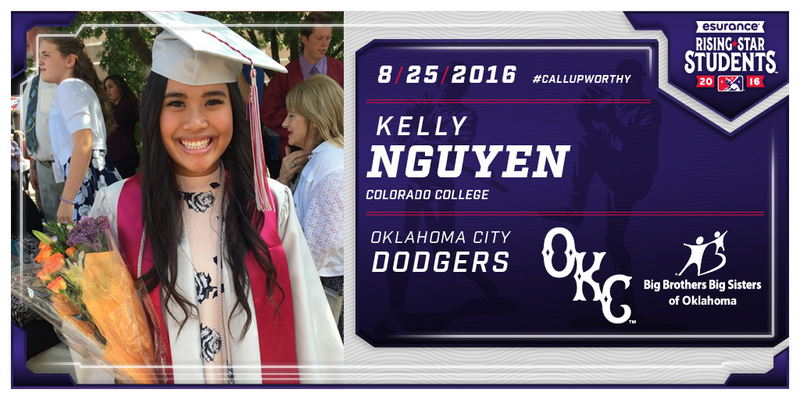 When Kelly was 3, she ended up with her mom and brother in an emergency shelter. At 11, she was placed temporarily in foster care. Her Big Sister Amanda supported her through those tough times, and eventually Kelly was reunited with her mom and brother. She and Big Sister Amanda spent time together going to basketball games, eating dinner out, and having “super long talks about our goals and dreams.” Kelly attends Colorado College, where she studies engineering. Jaylon was a quiet, isolated kid who struggled with social skills. 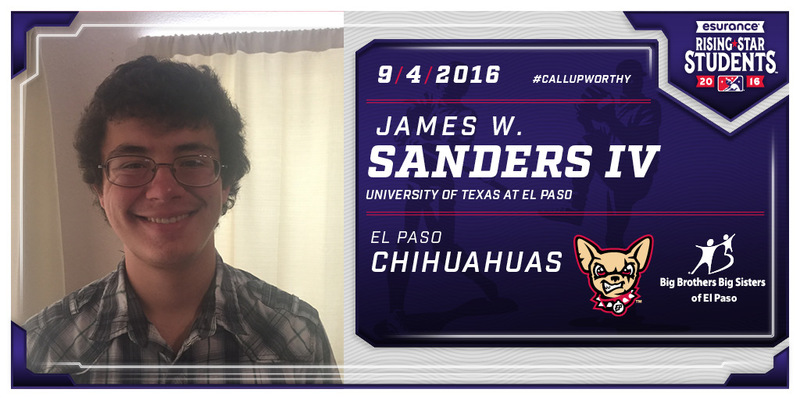 When he was 15, his parents signed him up as a Little through Big Brothers Big Sisters of Central Texas, because he was “closed off” to the world. His Big Brother introduced him to a community of people who likes the same things he does, and encouraged him to open up. 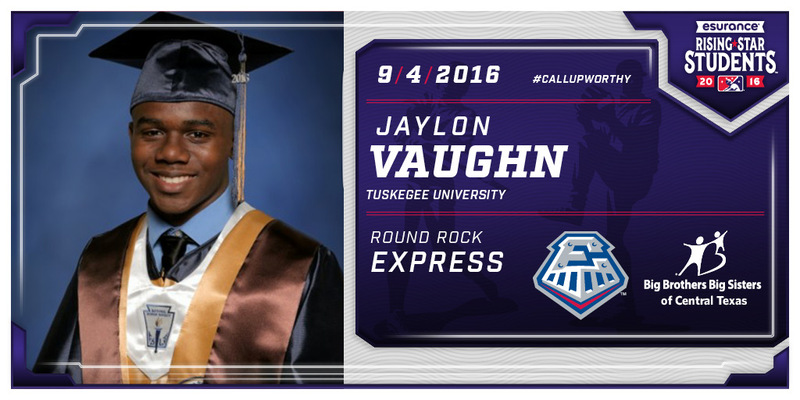 “He treats me like a person who is going to succeed and make it far into life,” Jaylon says. Big Brother John and Little Brother Jaylon have been matched for two years, and they still look forward to playing games together each week. Jaylon is starting his first semester at Tuskegee University, and he hopes to go on to veterinary school. When Little Sister Hazel was first matched with Big Sister Karen, she was stressed. She had no one to talk to about school, no one to help her with her homework, and no one to take her on college tours. Big Sister Karen stepped up to guide Hazel through school challenges, take her on tours of colleges she might apply to, and help her de-stress. “No matter what, she always seems to be having a good day,” Hazel says. 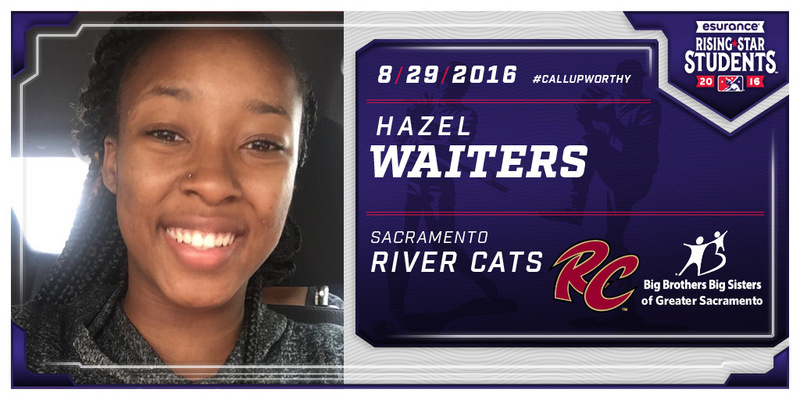 “She makes me want to be just like her in many ways.” Hazel wants to major in something that will allow her to help others. “I’m considering studying psychology because I want to help people in their lives and make a difference in some way.” She says her Big Sister has shown her that no matter where she comes from, she can accomplish anything she wants. Between working and going to high school, Little Sister Kenzee felt too busy to plan for college. She often put her family first, because she found herself in a caretaker role for her three younger sisters. She sometimes put her job first, because she was expected to put her paychecks toward rent, utilities, and food. But she knew she wanted to go to college. Her Big Sister, Megan, helped show her how to get there. 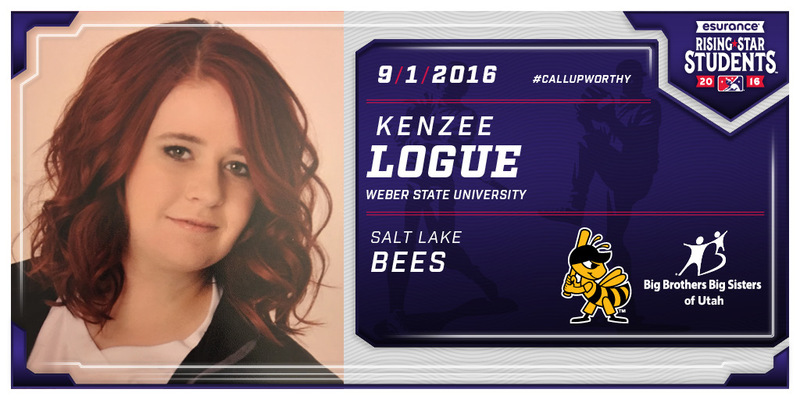 “She got me more involved,” Kenzee says, “and found answers to questions I didn’t even know to ask.” Kenzee took a college-level EMT course in high school, which sparked her interest in emergency healthcare, which she plans to study at Weber State. She is working towards her bachelor’s degree in emergency health sciences, and she hopes to become a paramedic and, eventually, a Life Flight paramedic. 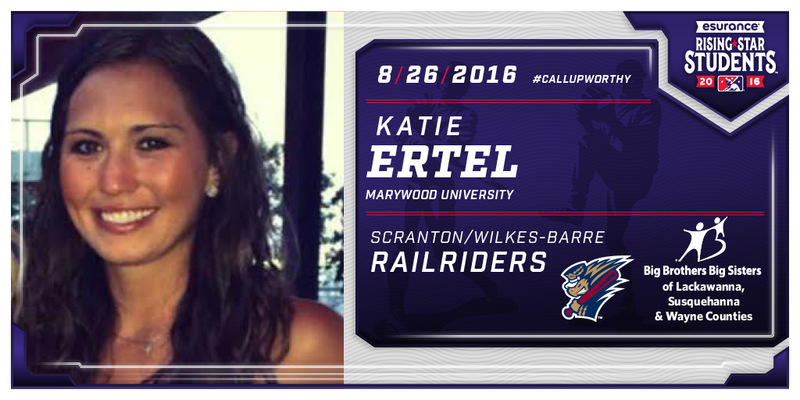 Katie is a graduate student at Marywood University, and a Big Sister to her Little, Justina. Before being matched with Katie, Justina was shy, and she admits that sometimes she was mean to other kids. Katie describes Justina now as observant, curious, and concerned with others’ feelings. With her Big Sister in graduate school, conversations about higher education were natural. Big Sister Katie and Little Sister Justina often visited Marywood’s campus and attended college basketball games together. Now, Justina wants to be go to college. “I want to be a nurse because I like to help people a lot,” she says. “I especially like to help take care of babies.” When Big Sister Katie learned that Justina wanted to be a nurse, she introduced her to some of her college friends who are studying nursing. Katie will finish her Master’s of Science in Sports Nutrition and Exercise Science in December. Little Sister Kendall is a talented musician. She plays 11 instruments and did well academically in high school. Kendall’s parents enrolled her as a Little at Big Brothers Big Sisters of Northwestern Ohio not because she needed help with her grades, but because they wanted her to have another adult in her life who she could talk to and trust. She says Big Sister Melissa helped her deal with her home life and the challenges of adolescence. “Melissa understood things about me that no one my age would, because she took the time to listen and be compassionate to me,” Kendall says. 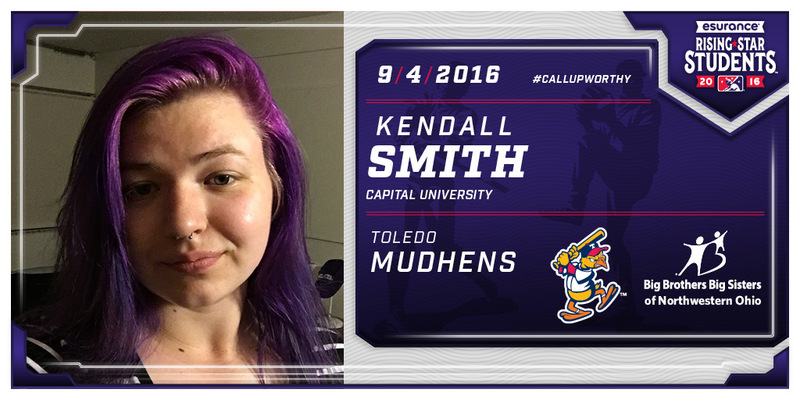 Kendall will study music at Capital University in Columbus, Ohio, and when she earns her undergraduate degree, she hopes to pursue her doctorate. 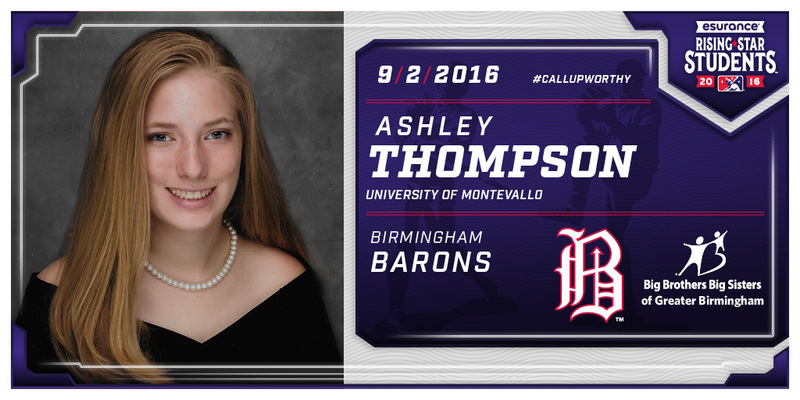 She aspires to become a music professor and to play in an international orchestra.